September Surge: Stop, Go, or Proceed Cautiously? The stock market just posted its strongest September and third quarter performance in more than seven decades (S&P 500 +8.8% and +10.7%, respectively), yet people are still waiting for a clear green light to signal blue investment skies ahead. Well of course, once it is apparent to everyone that the economy is obviously back on track, the opportunities persisting today will either be gone or vastly diminished. I’m not a blind optimist, but a sober realist that understands, like Warren Buffett, that it pays to “buy fear and sell greed.” And fear is exactly what we are witnessing today. The $2.6 trillion sitting in CDs earning a horrendously low 1% is simple proof (Huffington Post). Continued Economic Growth: Gross Domestic Product (GDP) grew +1.7% in the second quarter and current estimates stand in the +2.0% to +2.5% range for third quarter GDP, which will mark the fifth consecutive quarter of growth. Growing Corporate Profits: S&P 500 earnings are estimated to expand by +45.6% in 2010 and are estimated to grow by another +15% or so next year (Standard & Poor’s September 2010). Escalating M&A: Mergers and acquisitions activity increased to $566.5 billion in the third quarter. The value of announced transactions is up +60% from a year ago according to Bloomberg. If you have a tough time comprehending the pickup in M&A, then take a peek here. Record Cash Piles: The top 1,000 largest global corporations held a whopping $2.87 trillion in cash (Bloomberg). Accelerating Share Buybacks: Share buybacks totaled $77.6 billion in the second quarter, up +221% from a record low last year – Barron’s). Dividends Galore: S&P 500 companies have lifted their payouts by $15 billion so far this year versus a reduction of $40 billion for the same period last year (The Wall Street Journal). Tech giant Cisco Systems Inc. (CSCO) announced the pending initiation of a dividend, while Microsoft Corp. (MSFT) increased its dividend by a significant +23%. I’m not naïve enough to believe choppy waters will disappear for good, but despite the depressing headlines there are constructive undercurrents. Beyond the points above, equity market prices remain attractive relative to the broader fixed-income markets (see Bubblicious Bonds) . More specifically, the S&P 500 is priced at about a 25% discount to historic valuation averages over the last 55 years (currently trading at about 12.5 Price/Earnings ratio vs 16.5x historic Price/Earnings ratio – Bloomberg). 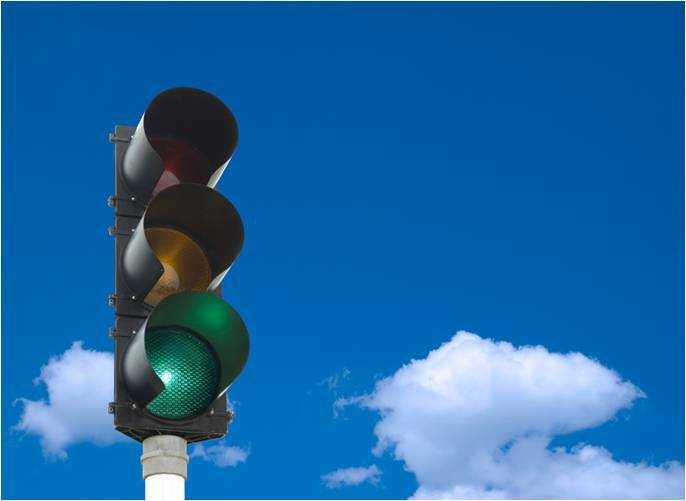 Now may not be the time to recklessly run a red light, but if you fearfully remain halted in front of the green light then prepare to receive a pricey ticket. DISCLOSURE: Sidoxia Capital Management (SCM) and some of its clients own certain exchange traded funds and CSCO, but at the time of publishing SCM had no direct position in MSFT, or any other security referenced in this article. No information accessed through the Investing Caffeine (IC) website constitutes investment, financial, legal, tax or other advice nor is to be relied on in making an investment or other decision. Please read disclosure language on IC “Contact” page. Entry filed under: Financial Markets. Tags: bonds, dividends, M&A, market overview, S&P 500 earnings, September, Stocks, top month.